Francis, who won 17 games and helped the Rockies to the 2007 World Series before an injury-filled 2008 (4-10, 5.01 ERA), has completed long rehab process, thrown in instructional ball last fall, and went through two sessions of facing hitters at the Rockies' complex in the Dominican Republic earlier this month. Francis' comeback will be a front-burner issue soon enough. But since he has given everyone reason to believe he's healthy, a day of exercise two days before camp opens isn't front-page news. "I feel good, strong," Francis said. "Going to the Dominican was a nice warmup, to get outside and get the Spring Training feel, do some drills, throw some bullpens. Here, I'm just continuing what I was doing down there." As the shoulder issues worsened, Francis lost control of the pinpoint mechanics and location that helped him win 44 games from 2005-07, the most for any pitcher in Rockies history during a three-year span. He said he didn't recognize himself when he saw video of his outings when he was fighting the shoulder issues. Now that he no longer feels pain, or even tightness, he has to find the old Francis. "My delivery feels a little foreign because I haven't done it for so long," he said. "I'm trying to get on the mound as much as I can. Even if I'm not throwing full-on, I'll bring the guy [catching] up to 50 feet and go through my delivery. In the short term, if the Rockies can get 25-30 starts from Francis and he performs at his 2006-2007 level, then the Rockies, dare I say it, will have a dynamic top three in their starting rotation (along with Aaron Cook and Ubaldo Jimenez). This is a team that on paper should be able to compete with anyone in the National League given their wide array of talent. 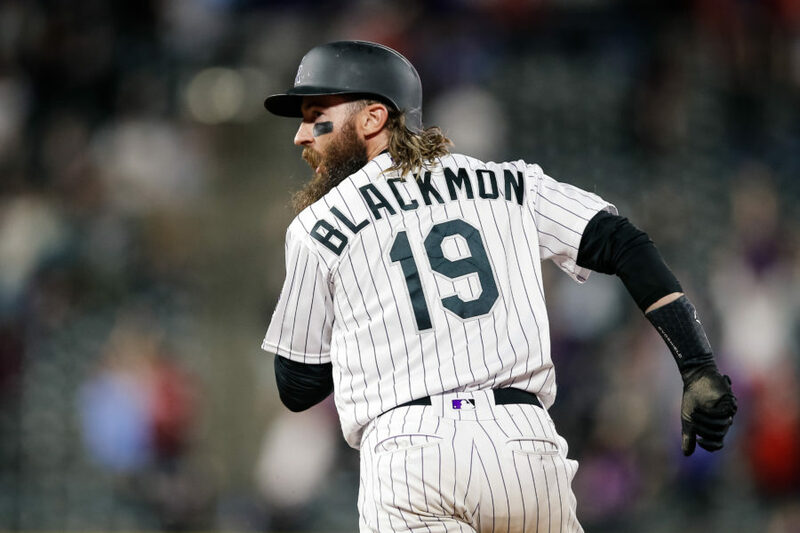 But in the long term, Francis return to the Rockies will open up a new series of questions about his future with the Rockies. Francis has a $7 million dollar club option for the 2011 season and right now, it would obviously make zero sense for the Rockies to pick that up. But as we've said before, a lot can change in a year. If Francis stays healthy and demonstrates the same ability that catapulted him onto the national stage in 2007, then would it be worth it for the Rockies to commit a substantial amount of money to him? Remember, to date, Francis has only had two good seasons in the majors and has never produced a season with a sub four ERA (which might not be an important stat given where he pitches a majority of his games). That said, if the Rockies payroll remains in the $70 to $75 million dollar range next season, will the Rockies be willing to throw almost 10 percent of that at Francis? Only time will tell.